What comes to mind when you hear the phrase bridal party? Bridal showers? Getaway weekends? Bachelorette parties? It keeps everyone pretty busy in the weeks (and months) leading up to that big day. But if your bridal party includes a flower girl or two (or three) why not include them in your planning? And give some extra thought to making them look oh so sweet when it comes to the big day? What Does a Flower Girl Do? Asking someone to be a flower girl is the first step. But knowing what they’re supposed to do can help make that question (and your choice of little girl) an easier one. 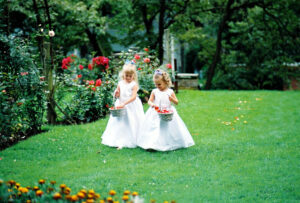 According to The Knot, flower girls are usually three – eight years old. Their primary duty is to walk down the bridal path (or aisle). They traditionally walk ahead of the Maid of Honor, scattering flower petals. For a change of pace, consider having her walk just ahead of the bride, or hand in hand with the ring bearer. Just remember the most important requirement of a flower girl: she needs to be able to follow direction, and not be so overcome with stage fright that she dumps the basket and runs. (Don’t laugh, it’s happened more than once!). You want it to be a fun (and successful) day for both of you! According to BrassPaperClip, the tradition of flower girls started back in ancient Rome with young girls carrying sheaves of wheat and herbs to ensure blessings of prosperity and fertility. You can bring this tradition to today’s modern wedding with a pretty basket of lavender, or a small bouquet of wheat. OR, have a dainty lavender and wheat circlet made for your flower girl to wear on her head. Mix in a bit of baby’s breath to give a natural organic feel to her ensemble. 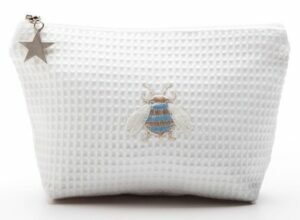 This fits in well with pretty cotton girl’s dresses from Jacaranda Living. Detailed with dainty embroidered daisies and butterflies, your little flower girl will be sweet for the ceremony and look darling in group photos or candid shots. If you’re a crafty bride or have a friend who loves to create, consider the step-by-step directions providing by A Practical Wedding and create your own floral crown for the flower girl in your wedding party. Just make sure its sturdy enough to withstand an active little girl enjoying the day. When it comes to weddings, traditional bachelorette parties, and bridal party getaway weekends may not be appropriate for flower girls or junior bridesmaids, but that doesn’t mean they can’t be a part of the pre-wedding celebration. Consider including them in pre-wedding spa appointments. Manicures, pedicures, and maybe a little cosmetic bag gift with lip balm, tissues, and scented hand cream would make your big day a day they remember for a very long time. Balloons – For an outdoor wedding helium filled heart shaped balloons could be very pretty. Just make certain to tie them tightly to tiny wrists so they don’t blow away. Bubbles – As a change of pace, have flower girls blow bubbles, with fun themed bubble wands. These are very cute for photos and video. Lacy parasol – These can be very sweet for an outdoor summer wedding. Consider matching fabrics to gowns, or contrast to give the bridal party a bit of a color splash. The bride and bridesmaids may even want one for photos! Pets – Including your pet in the wedding party? Consider having a flower girl walk the pet down the aisle in a covered leash. 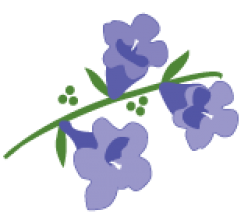 Floral Garlands – If you’re having multiple flower girls, or a combination of flower girls and junior bridesmaid, they can carry pretty floral garlands. Bouquet of Individual Flowers – These can be handed out to guests as she walks down the aisle. Herb/Flower Decorated Lantern – Beautiful for a candlelit wedding. You can use battery-operated tealight candles to keep everyone safe! Your wedding should be as unique as you are. Every member of the bridal party, even the smallest will play a part in making that happen. 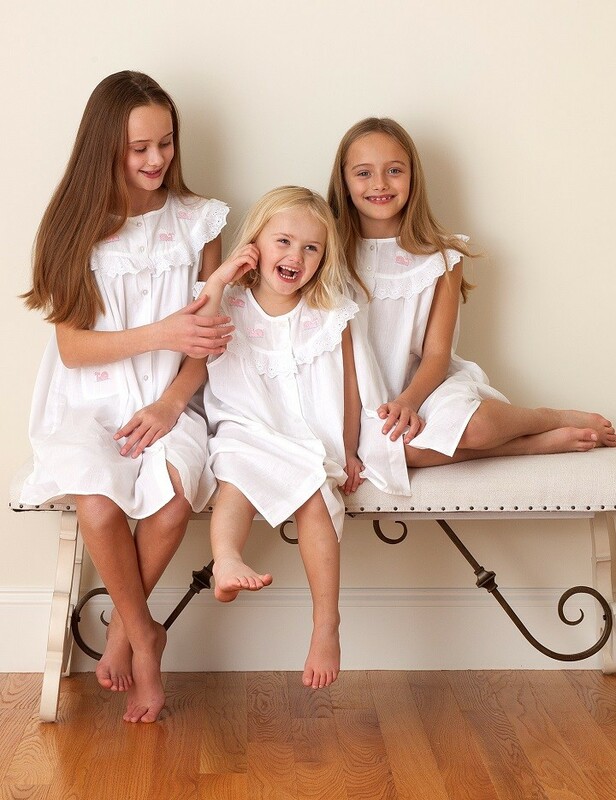 Jacaranda Living offers dainty embroidered dresses and sweet cotton embroidered pant sets for little girls. They’re the perfect way to dress up a young child in comfort and elegance. Cute embroidered pant set. Perfect for a country wedding.